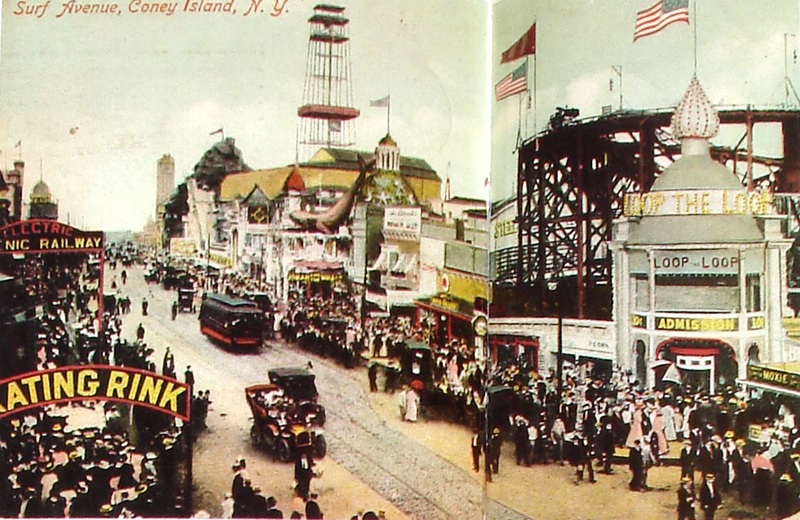 Inspiration: A Vintage Coney Island. For some Coney Island may seem like a dump because of what it looks like now, for me Coney Island is an amazing place full of inspiration and history. My mother used to take me to Coney island a lot as a kid and it has always stood with me. 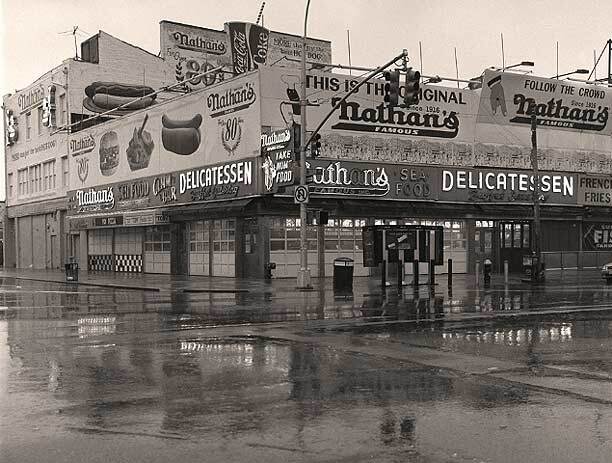 It isn’t only the history of Coney that I love, it’s the memories of my mom and I whenever we went there. Coney Island means a lot to me so I figured I’d share a little of history with you so you can understand my love for this historical place. Coney Island is an english interpretation of Conyne Eylandt (Konijnen Eiland in modern spelling) which is Dutch for “Rabbit land”. Coney Island was full of rabbits until resort development eliminated their habitat. It is so crazy to think that Coney Island was once full of rabbits and that this animal was inspiration for this theme parks name. Rabbits werent the only species that inhabited the land of Coney Island. It is said that there was an indian tribe called “The Konoh tribe” that also inhabited the land in the 1700’s. They also say that the Island is named after a man who was slaughtered by the indians. They say he was a friend of Henry Hudson. 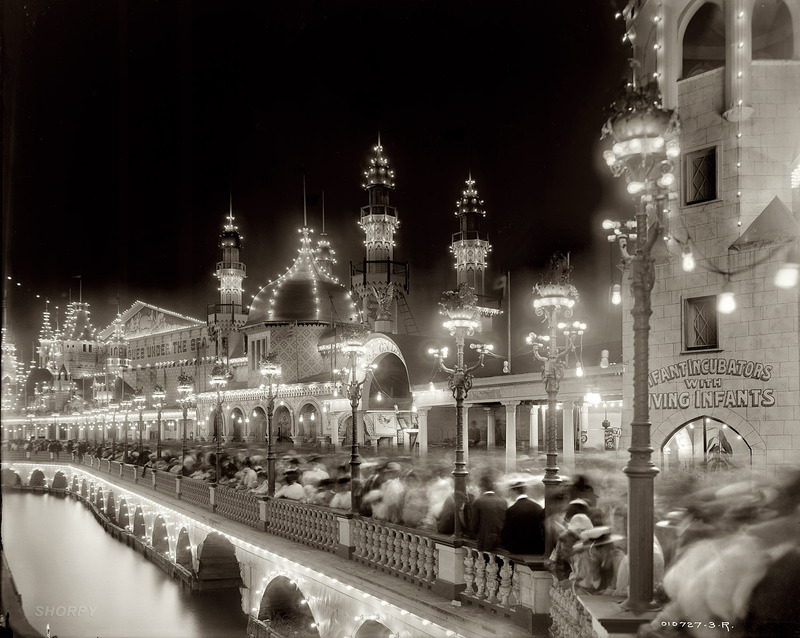 Coney Island became a theme park in the 1860’s but the first structures were built in the 1840s. With the help of the Railroads coming about in the 1860s Coney Island expanded into hotels, theme parks, public and private beaches, horse racing, gambling entrepeneurs, and prostitution. The Coney Island Carousel was built in 1876 by a Danish wood carver named Charles Looff. 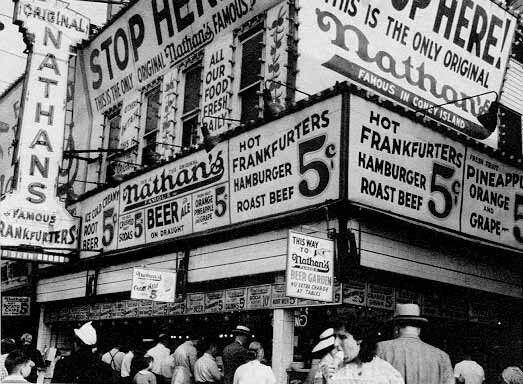 Nathan’s hotdog stand was built in 1916 and is still up and running today. 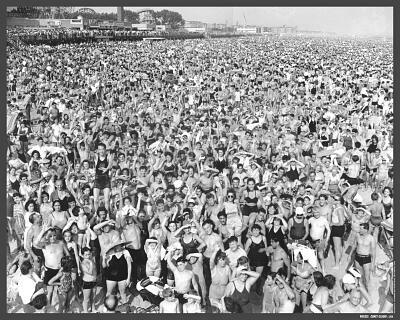 I have heard stories of Coney Island being packed full of people, men in suits, women in dresses, and everyone having a grand ol time. I can tell this is true judging by the pictures I have seen. I can’t tell you the joy I have after seeing these videos. I often talk about my love for Coney Island and its history to my friend Derek. He sent me these videos the other day and I was so inspired I had butterflies in my stomach. This is where my love of vintage comes from, the old days, the history, the stories, and wondering if that dress I bought at a vintage shop was worn by a glamorous woman in the old days. I go to Coney Island a lot, most of the time alone because I find it to be a peaceful place full of life (on early weekdays). I love to visit the Coney Island museum, the Side Show, the Aquarium, and the boardwalk. The Aquarium at Coney island used to be another theme park called “Dream Land”, there was also an Ice skating rink there called “Abe Stark”. Coney Island has constantly evolved over the years and with the threat of people trying to tear it down for casinos and resorts, Coney has stood its ground. I still wish there was a Steeplechase park, Dreamland, and other parks that resided at Coney, it’s a shame it isn’t what it used to be. I just hope they don’t modernize the park completely because you are bound to see a little of what’s left of history every time you visit. 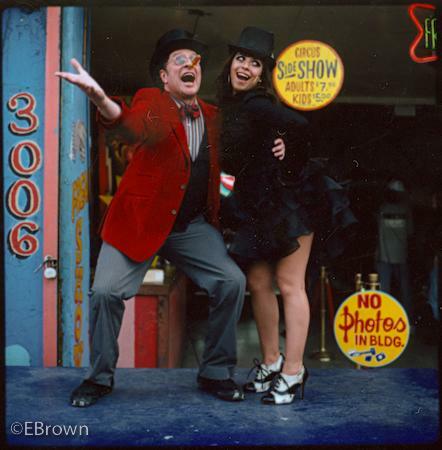 Here are pictures and videos of Coney Island at its prime. This is what Surf Avenue looked like before it was modernized. The beaches were crowded with people. A few years ago I took pictures at Coney island, it was one of my favorite shoots shot by Evan P.Brown. Here are some of my favorites. Visit the Coney Island Website! ← The Port Jervis Turntable. Thanks for sharing your love for Coney Island. I’ve never been, but like you I enjoy history and reading about the history of landmarks. Transplanted to Brooklyn for twelve years and have watched some of the latest transformation (ie. new roller coasters and a new “Steeplechase”) Nothing like in it’s day though. 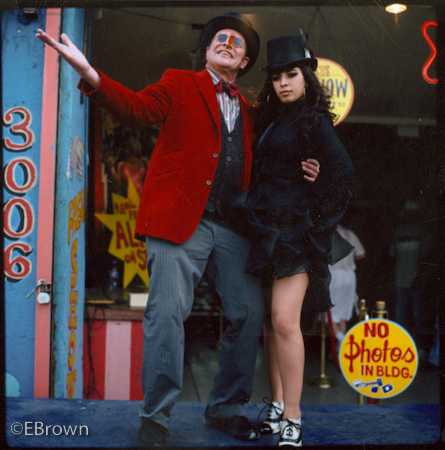 LONG LIVE THE FREAK SHOW that IS Coney Island! Thanks for the history! ~Adam from Buffalo but Brooklyn will always be my home away from home! Recently visited Coney Island for the first time in many years and was impressed with how clean both the beach and boardwalk were.